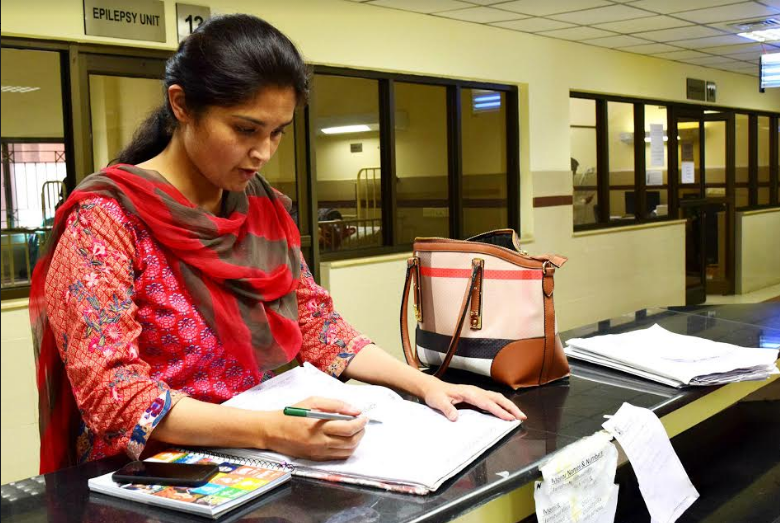 In a small health facility in Sakhi Sarwar, a little town in Pakistan’s Punjab province, Dr Ujala Nayyar, WHO’s Surveillance Officer for Punjab, leans over a register to review all doctors’ appointments in the recent months. She is checking every record to look for symptoms that could be signs of polio, like a sudden floppiness in arms, legs or any part of the body that could indicate acute flaccid paralysis. 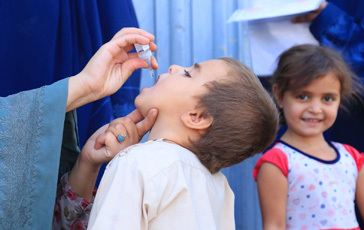 As Dr Nayyar searches through the register, she checks if the doctor working at the clinic knows what the symptoms of polio symptoms are, and what they need to do if a child with acute flaccid paralysis is brought in. This detailed review of registers and the knowledge of hospital staff is a constant practice in Punjab to ensure optimal surveillance quality for polio eradication efforts. Dr Nayyar is part of a network of 47 Polio Eradication Officers in 36 districts of Punjab who work with just one aim: to eradicate polio. 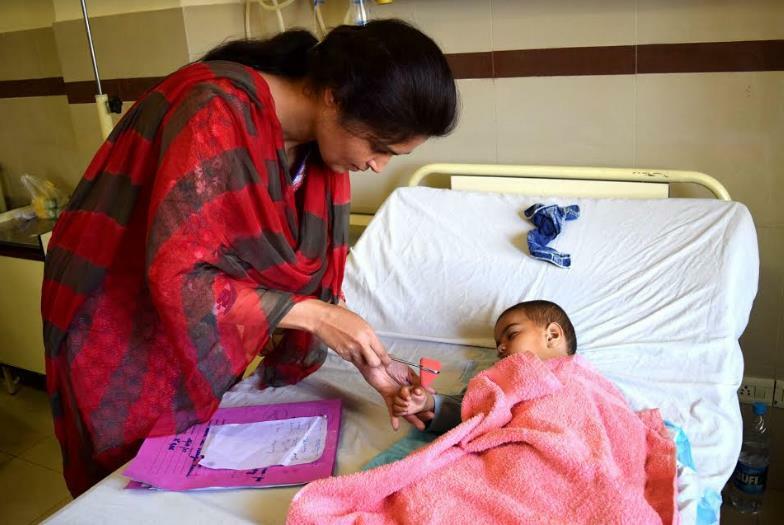 More than 47,000 health workers, religious leaders, traditional healers and over 10,000 doctors in Punjab help her team to identify paralyzed children. 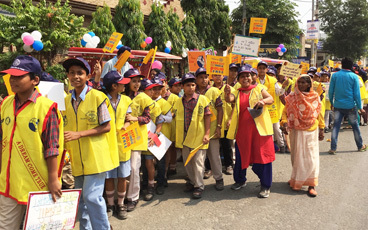 Acute flaccid paralysis can have several other causes in addition to polio, which means that every single cases needs to be tested in a laboratory to confirm whether it was polio that caused the paralysis or not. 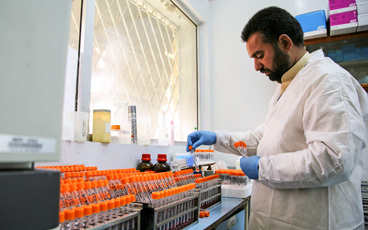 Approximately 800 stool samples of acute flaccid paralysis (AFP) cases are collected on a monthly basis and sent to the National Institute of Health for testing. 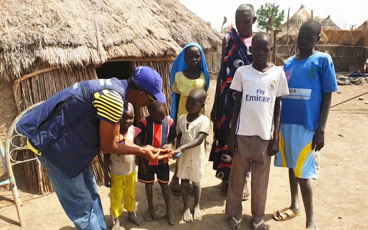 The data from the laboratory results enables the district surveillance team to identify where the poliovirus is circulating and vaccination campaigns need to be held to interrupt it. 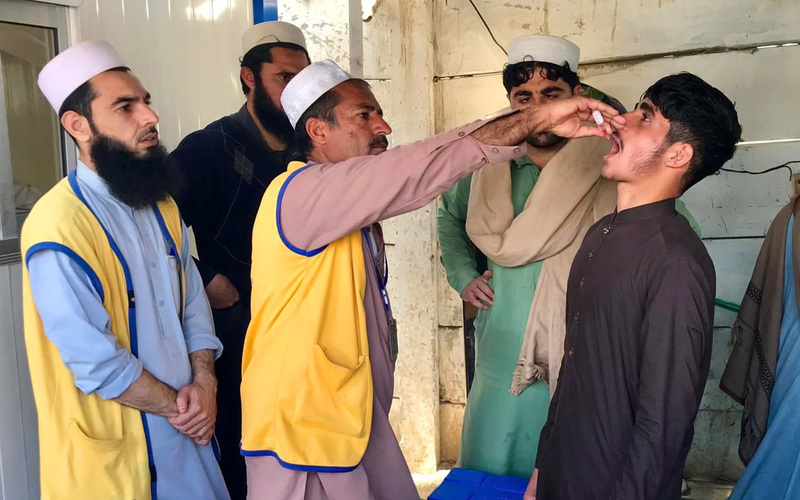 Surveillance is one of the key activities of the polio eradication effort in Pakistan. Many innovative approaches are being introduced to help detect where the virus is circulating, including surveillance reviews and regular orientation sessions for medical officers and consultants on how to report cases of acute flaccid paralysis. ‘We have to be smart enough to run ahead of virus to interrupt its circulation in Pakistan,’ says Dr Nayyar.